Recently, For Honor introduced a new patch that aimed to balance one of the supposedly over-powered characters; the Warlord. Ubisoft’s patch-notes read like a last will and testament for players who love the bearded warrior. Before I get into the details, full disclosure, I am (was) a Warlord main. For those who don’t appreciate the nuances of games like For Honor, there is a level of identification one feels with the available characters and for me that was the Warlord. I liked the defensive potential and the general feel of his movements, quickly deciding that the Warlord was the character I would use more than any other; my special little hero. Imagine the horror you would feel if your favourite character was decapitated. When I booted up the game hoping to complete my daily orders, I was greeted by a patch download which quickly installed and I began to play. However, every parry or headbutt I performed suddenly felt wrong. My headbutts felt very slow -opponents were even dodging them- and my parry follow up simply did not work. The Warlord had been nerfed. Nerfs have always had a slight stigma attached to them for pretty good reasons; why hamper some peoples’ enjoyment of the game to placate others? 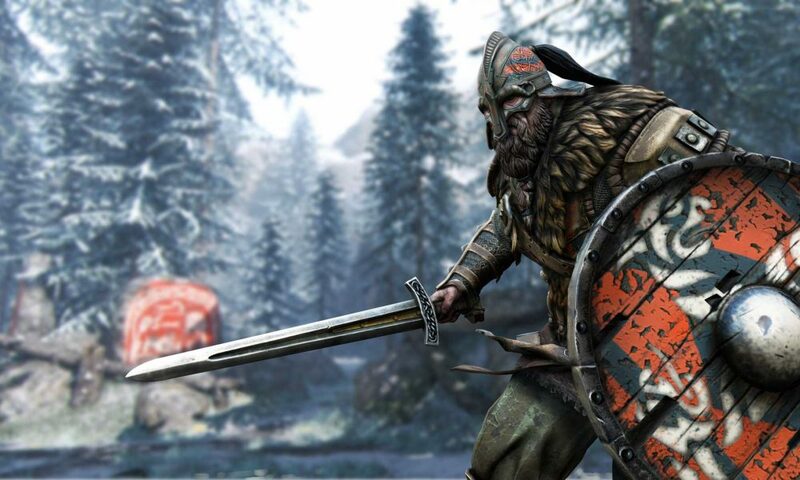 Even though I personally don’t feel the warlord needed a nerf (especially considering what the Centurion can currently do), many disagreed and their concerns should certainly be addressed. But the solution should never be to ruin a strong character, instead, the lower tier characters should be buffed. Most people agree with this consensus and it has been pleasantly surprising seeing people who were not long ago calling for a Warlord nerf actually criticise the extent to which the character has been changed. All his damage has been reduced, his dodge recovery has gone up and his parry punish has been rendered useless. This is not how we should move forward with For Honor or indeed any game at all. We understand the need for balance, but isn’t this primarily a game to be enjoyed? This opinion is not controversial, it should be the standard. I am avoiding a game I love because of a patch that ruins my favourite character. These changes seem oriented towards the competitive circuit. Any ‘fighting’ game goes through various iterations of characters and mechanics, but we often overlook the fact that most people play these games for fun. So what happens now? Conqueror and Kensei mains are welcoming us Warlords with open arms and quietly shushing us to join them in the lower tier. We thank them for their support, but like the One True Morty I think it’s time we fought back. Ubisoft should listen to our concern at how they are treating our characters and work on building up all characters to fight toe-to-toe with the Wardens and Raiders with mutual love and respect. Except Cents, they can go away. For more For Honor, see our reviews of the Gladiator and Highlander, as well as other articles here. British resident and sucker for over-analysis. Games are the future of Literature and I'll gladly argue that fact for hours.